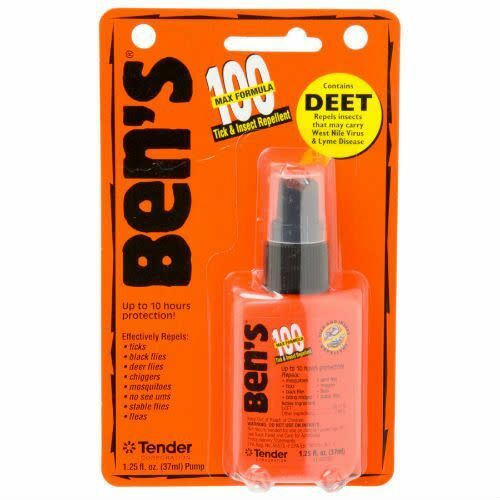 Ben's® 100 delivers up to 10 hours of protection - 100% deet. Protects from mosquitoes, ticks, black flies, deer flies, chiggers, fleas, stable flies, insects. Insect repellents greatest benefit is in repelling disease-bearing insects, like deer ticks that can transmit Lyme disease, and mosquitoes that can transmit West Nile Virus (WNV), Lyme disease, Malaria, Eastern Equine Encephalitis (EEE), and other infectious diseases. Great for both outdoor and indoor activities including camping, fishing, BBQ, hiking, and much much more. Travel: This item is ideal for carry-on. TSA Regulation - 3.4 ounce bottle or less (by volume).